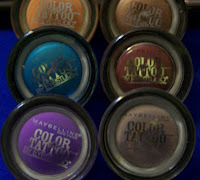 As I am sure everyone has heard by now, Maybelline has created a new cream/gel shadow called Eye Studio Color Tattoo. 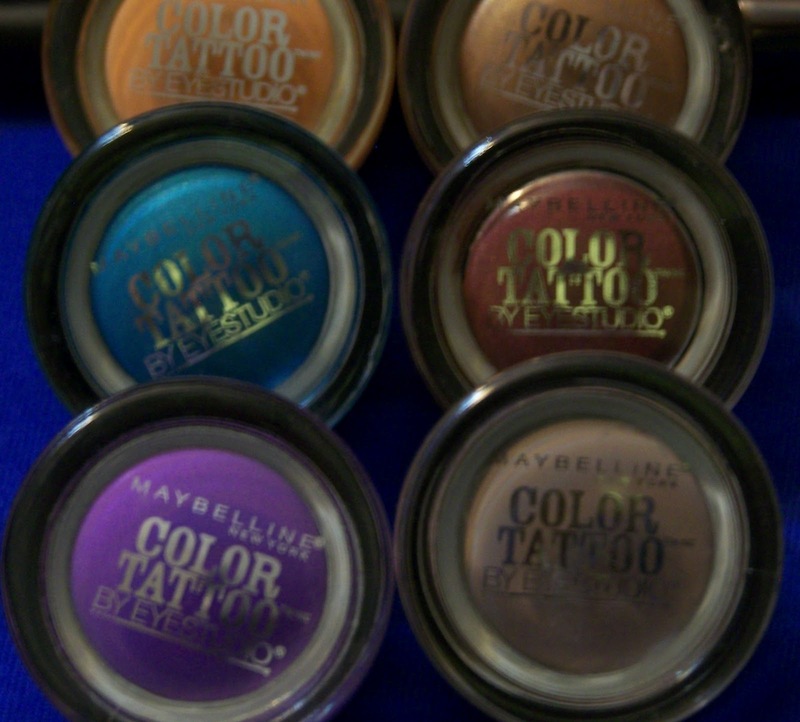 Maybelline has advertised the ten shadows as their longest-lasting shadows that will last for 24 hours. In addition, you may have seen several YouTube product reviews; some were good and some not so much. Well here is my two cents. I purchased six of the ten gel shadows from Walgreens and CVS, I had to go to several different stores each store may have had one or two colors left in stock. The cost of the product was less than $7.00 which is cheaper than the MAC paint pots. I found the product easy to apply very smooth, can be applied with your finger or a brush. However, work fast because the product dries quickly. Overall: The product did last 8 hours (did not wear for 24 hours). The product did not crease, whether I wore alone or as a base color. Excellent product for the price, as long as you find the color that works for you.